Step 1 In a small saucepan, combine the sugar, water and orange zest strips. Heat over low heat, stirring to dissolve the sugar. Stop stirring, raise the heat to medium-high and bring to a boil. Simmer uncovered over medium-low heat until thickened slightly, about 5 minutes. Add the orange and lemon juice and continue to simmer for 1 minute, then remove from the heat. Cool the syrup until warm, about 10 minutes, then remove the orange zest and discard. Set aside. In Recipes-list.com we have selected the most viewed recipes from category - Desserts . Enjoy the best recipes specially selected for you! 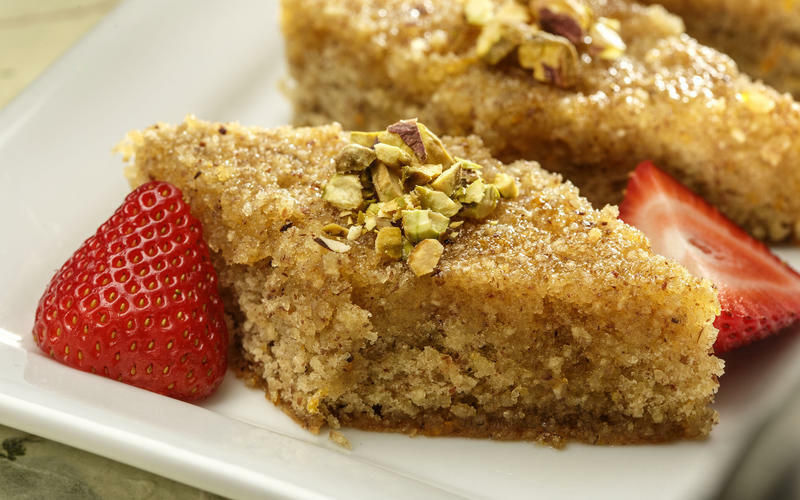 Passover hazelnut baklava cake is the right choice that will satisfy all your claims.